No car has a more distinctive body design than a Ferrari. Ferrari’s represent the top of Italian luxury and style. 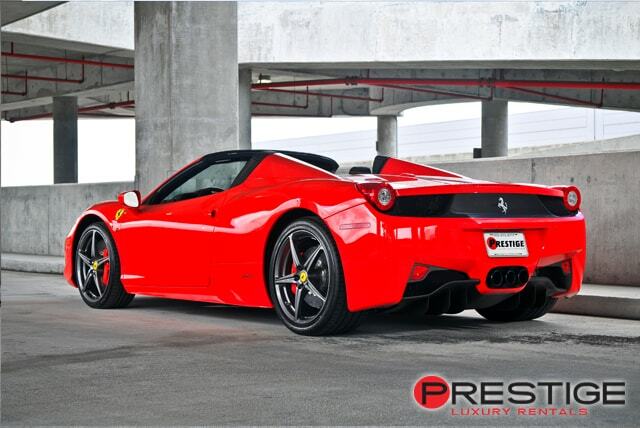 No model better represents this than the Ferrari 458 Italia Spider. Once you settle into the Formula One cockpit style leather seats, you can easily retract the convertible hard to with just the push of a button. The direct injection V8 engine will get you to cruising speed in a staggeringly fast 3.4 seconds. Then drive this beauty to the Atlanta Motorsports Park and take advantage of the facilities to enjoy racing the track at almost 200 mph. 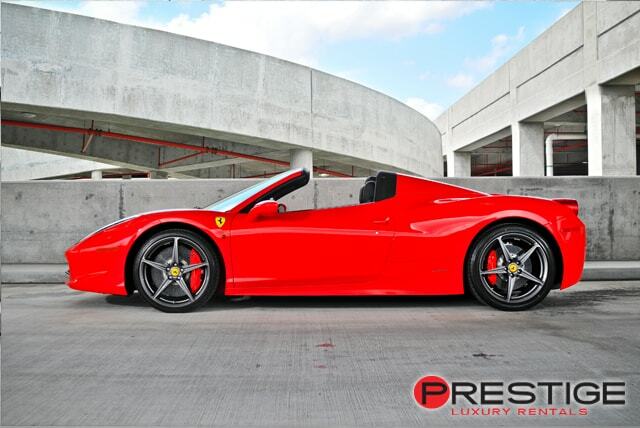 When you want to rent the Ferrari 458 Italia Spider in Atlanta, there is no better home for exotic and luxury cars than Prestige Atlanta Luxury Car Rentals. In just minutes you’ll be experiencing one of the most powerful street legal cars on the planet. 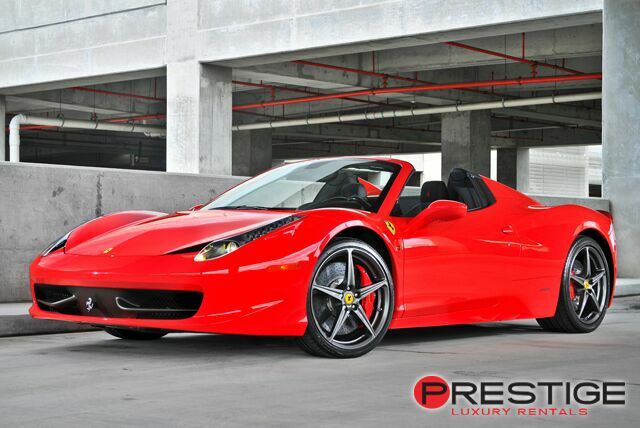 How will you feel when you arrive at the Atlanta Airport and your Ferrari Rental is there waiting. Yes we deliver!